This album is a thank you. Feel free to take it for free. Or if you’re so inclined, donate what you will. It’s an album of brightened corners and beautifully incomplete sentences. It’s the structure and skeleton of what’s to come. With help from the always-amazing Chris Hansen, the singing of Lauren Miller and Alanna Trees, and the speaking voicesof Maggie Wray Crowell, April Votolato and Danielle Eaton. Perhaps strangely, it’s mostly about hope. Sometimes the forces surrounding will set you adrift, amiss in the sea of music. This year, we’ve taken control of our navigation. I know, from the larger kingdoms across the ocean to the minor kingdoms inside my mind, nothing is perfect. That right there is crux, the engine, the heart and the blood behind every word I write and sing. Because in the right light, a broken gear can be slightly stunning. Our ability to navigate this imperfect world is bestowed upon us by you, the listener. You’re basically riding shotgun, guiding us to wherever we’re going next. Thank you. A million times. Thank you. * A couple other shout outs, if I may. To Tierney Tough, Shawn Alpay, Dave Montague, Mark Porostosky, Sean Hansen, The Lighthouse and the Whaler, Matt Watts, Brody McGee and Sally Grossman. 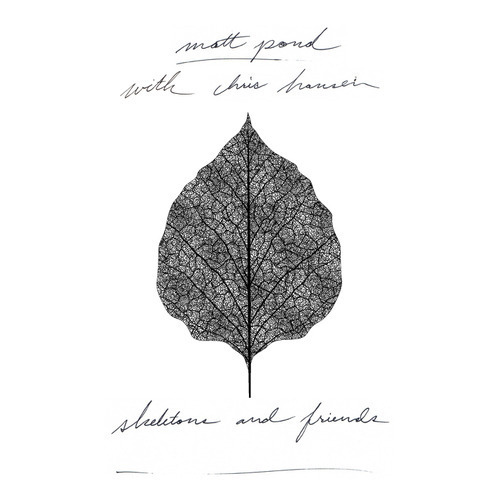 Check out Matt Pond PA’s album on Noise Trade and then see him at the Turf Club on Tuesday 11/10!